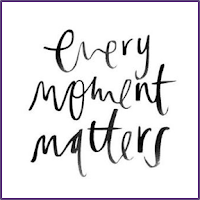 Over the last week I’ve found myself thinking about the importance of savoring the moment and living life to its fullest. Christmas is a natural time to think such thoughts, and embarking on a new year helps too, but a few specific things have happened in my life recently that have me pondering what really matters in life. First, I’m writing this article while sitting in North Dakota, surrounded by Mandy’s family. In fact, I’m literally surrounded by her family: my nephew, to my left, playing a very noisy game of Angry Birds on the iPad; my sister-in-law, to my right, talking about her Facebook feed; and the kitchen, behind me, full of conversation and laughter while lunch is being prepared. And I wouldn’t want it any other way! We don’t get to see Mandy’s family very often, so when we are together, I always find myself thinking about the significance of family and life and love…about what’s really important in this world. And secondly, Mandy and I have a friend who lost her mother to a heart attack on Christmas morning. So, I’m mindful of the frailty of life—of how quickly and easily it can slip through your hands—and I’m increasingly grateful for the blessings God gives daily and I’m committed to basking in God’s goodness and offering the grace of God to everyone I encounter…with a newfound sense of urgency. So, as we ring in the new year and look forward to what 2018 has in store, may we be committed to savoring each moment, relishing each relationship, and appreciating each opportunity. May we wake up each morning grateful for the blessing of life. 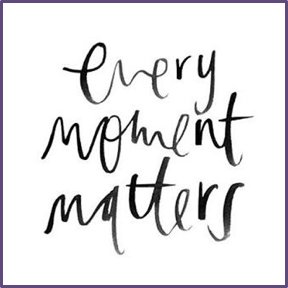 May we constantly remember that every moment matters.